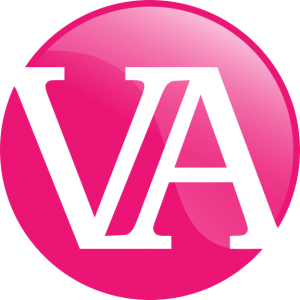 Even though my website is focused on how to set up and run a successful Virtual Assistant business, you’re actually just a freelancer. I know a huge amount of freelancers and they all experience exactly the same challenges, whatever their title and whatever services they offer. But in my experience, their main challenge is how to consistently find good work. I’ve spent enough time talking to readers and trainees by now to see that you kinda see marketing as a ‘black art’ and therefore completely overthink what you need to do in order to get other people to work with you. But marketing isn’t like that at all. In fact, the core concepts are incredibly simple and when you know what they are, you can apply them whatever the situation, whatever business you’re promoting, and whatever platforms and tools you’re using. Although freelancers fail for all sorts of reasons such as not being good at their job, losing clients because they don’t communicate properly, mismanaging their finances and massively undercharging, most of the time it’s because they’re not successfully marketing their business. They don’t do any marketing and wait for the phone to ring. Their marketing efforts are sporadic. They stop marketing when they’re busy. They don’t market to the right people. They don’t market in the right places. They’re not clear who they or their clients are, so their marketing message is confusing or weak. They don’t have any areas of expertise they could charge more for. Their marketing message is fine but it doesn’t convert into paying clients. Their website is a confusing mess that talks about them and not the reader. Their brand, website and social media are not in alignment with their ideal client, or business owners of the right calibre. They don’t understand or adhere to the fundamental principles of marketing. They have a plan and a system for everything, except their marketing. But the good news is that these issues are actually really easy to fix and this course is going to address every single one of them and ensure you never worry about finding clients again. Sound good? Then let’s start. PS: It’s really important that you complete all of this course from start to finish and in the order I’ve laid out. Please do NOT jump ahead to the section you think you need because then you won’t understand the underlying principles of marketing and you’ll come a cropper!